Why We Listen To Music With Two Speakers. This is a very common topic that I find a lot of people do not understand or have any knowledge of. Whether they are a musician or somebody that just listens and enjoys music. I am going to explain why we use a pair of speakers and or headphones that cover both ears to listen to music and why using stereo sound is so important in listening, recording and mixing music. Stereo is a combination of two channels named LEFT and RIGHT, also known as ONE and TWO. You may have come across this at home with hi-fi speakers that use coloured cables and connectors such as WHITE and RED or BLACK and RED, with RED always symbolising the RIGHT channel. 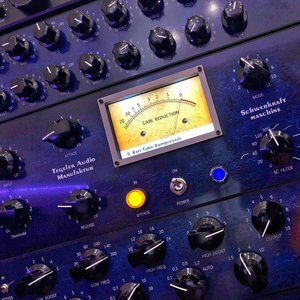 A track that has been mixed in stereo gives the listener a surround, real life feeling to what they hear. Stereo music creates a natural and alluding atmosphere that when done right in a mix stage supports the core emotion of a song you listen to. In short, stereo sound is sound that is delivered through two speakers to the listener with different elements of the whole track like instruments and voices chosen by the mixer coming from either the left or right speaker. In more complex mixes these elements can be at varying points between the left and right speakers. Now to give you a sound example of stereo. For this you will need to put some headphones on. Before putting on your headphones look either side of them for the LEFT and RIGHT marks so that you are putting them on the correct way round. This example is called 'The Virtual Barbershop'. When I was teaching Music Technology at a local school I used this a lot to demonstrate stereo sound to the students. This example best demonstrates how stereo sound works with a pair of speakers and/or headphones using LEFT and RIGHT channels. The combination of the LEFT channel and RIGHT is called the stereo image or stereo field. In the 'The Virtual Barbershop' example you can clearly hear all the elements move around from side to side giving the impression of space and depth. This basic method of using stereo to create space and depth is used throughout music making today. We can easily decide to put a guitar part to the hard left of the stereo image and have a completely different guitar part coming from the right. We can place a lead vocal line in the center of the stereo image and place backing vocals around partly to the left or right. This simple method is called panning. In a recording and mixing workflow we pan instruments and elements to positions in the stereo field. In this short example you will hear the first section NOT mixed in stereo. When sound is not in stereo (2 channels, Left and Right) it is in something called Mono (1 Channel that plays equally out of both speakers that cannot have anything panned to any side). Mono is 1 channel of audio, stereo is 2. All instruments and elements in the first section of this example are panned in mono (also known as center). Listen for the second section of the song. You'll hear everything open up into a stereo field. This is because I decided to mix the second part of the track in stereo to give a certain vibe and depth to the mix to help compliment the musical change in the arrangement from bridge to final chorus. You will hear in the second section the drums, guitars and vocals open out into a wide stereo field. Once again put your headphones on to fully appreciate this example.